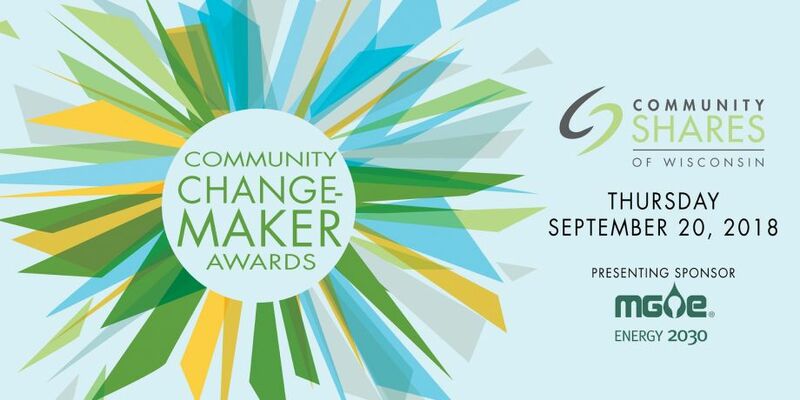 Save the Date: The 2018 Change-Maker Awards Event is on Sept. 20th! Join Community Shares of Wisconsin (CSW) for the 2018 Community Change-Maker Awards Event on Thursday, Sept. 20th, 5:00-7:00 p.m. at Union South! Register for tickets here. 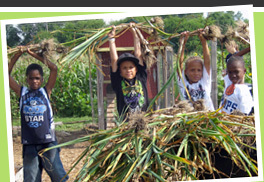 Each year Community Shares of Wisconsin honors 3 Change-Makers and 24 Backyard Heroes who work to greatly impact social and environmental justice in our communities throughout Wisconsin. These local award winners are nominated by our member nonprofits, organizations on the front lines of issues important to you – from housing rights to safe, clean drinking water. CSW will also honor 24 exceptional Backyard Hero Award Winners for their volunteer work at Community Shares’ member nonprofits. Learn more about CSW’s Backyard Heroes at this link. The Community Change-Maker Awards Event is generously presented by MG&E.